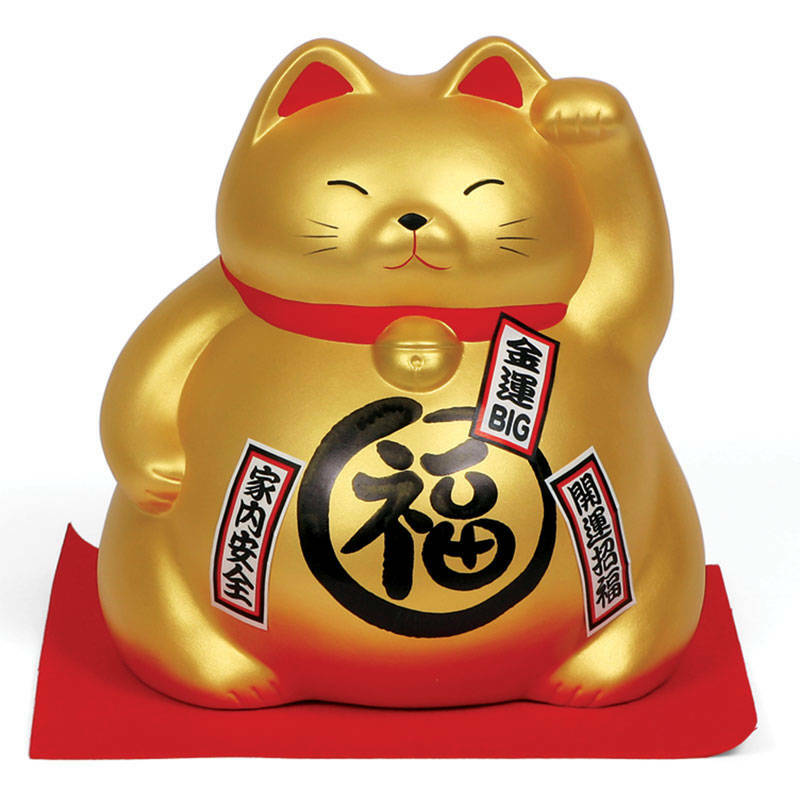 Gold Fortune Cat sitting on a red mat. Doubles as a bank. 6.75" x 7.25" x 8"h.